Today, in honor of International Holocaust Remembrance Day, we present a special #FridayPiday story of brothers (both biological and fraternal) who have experienced the depths of evil, overcome those horrors and today fight on behalf of others who have been victims of terrorism. (Editor’s Note: This story comes from an interview with Brother Andrew Hall and from articles in the ABA Journal, The University of Florida Law Magazine and LawDragon.com). Brother Andrew Hall (University of Florida, 1965) and his older brother Allan Hall (University of Florida, 1958) stand today as shining examples of the perseverance of faith and the belief that, through this perseverance, one can make the world a better place. Their story represents, in many ways, the values of AEPi. In 1942, Edmond Horskey, Brother Allan Hall’s father was desperate to protect his young family from the Nazis in their native Warsaw, Poland. So, he posed as a German Aryan and rented an office on the 13th floor of the Hotel Warsaw. Their mother, Maria Horskey, and six year old Allan did not leave that office for more than two years. When their father left for work, the two hid in a dark closet and whispered to avoid detection. When the Poles rose up against the Nazis in August of 1944 in the Warsaw Uprising, Brother Hall’s family moved from the office to the coal cellar in another building. It was there, in that cellar, in the middle of the historic fight against oppression, that Brother Andrew Hall was born in September of 1944. When the Uprising was ended in October, the Germans ordered everyone to leave the area and burned the city to the ground. Hall’s family escaped through the sewer system and made its way to Krakow, Poland and remained there until the end of the war. Andrew doesn’t remember much from those early years on the run and during the war but they shaped him for the rest of his life. “One of the things that happens to the families of Holocaust survivors is those experiences don’t leave your house. They’re there every day. It is the primary subject of conversation between your parents and friends. So, your grow up in an environment steeped in a sense of injustice at the highest level and what it is you can do to make sure it never happens again. It’s very much a profound part of my personality,” said Andrew. “After the war, my father became Superintendent of Insurance for the Polish government. In 1946, he was arrested and imprisoned when the Communist party took control of the country. My mother sent my brother and me to the German border. There, we were placed with a group of Jewish war orphans attempting to reach Palestine. At the time, she felt that was the only way to keep us safe because families in our circumstances disappeared and were never heard from again,” said Andrew. Edmond had escaped from prison and the family was reunited and in February of 1947, the reunited family flew to New York, settling for a time in Newburgh, NY before moving to Miami. (In 1954, the family changed its surname to Hall). Brother Allan enrolled at the University of Florida in 1954, followed a few years later by Brother Andrew. Both quickly joined the Phi Gamma chapter of Alpha Epsilon Pi. “I was pretty active in the chapter. I remember serving as pledge master one time. UF was a very political place and I got very involved in politics on behalf of the AEPi house and used AEPi as the basis of my support for those years,” said Andrew. Today, Brother Andrew Hall is the founder of Hall, Lamb and Hall in Miami. He specializes in complex commercial cases but his fight against evil still continues. Brother Hall is credited as the first attorney to win a case in the United States against a country labeled as a state sponsor of terrorism. In 1992, he was approached by a Texas attorney who represented Chad Hall (no relation to Andrew or Allan), a civilian working to clear land mines on the Kuwaiti side of the Iraqi/Kuwait border. Chad Hall was kidnapped by Iraqi soldiers and tortured. Brother Hall pressed Congress, lobbying for legislation that allowed the case to proceed. This year, Brother Hall recovered a judgment for $316 million for the sailors who were hurt in the bombing of the USS Cole against the Government of Sudan arising from its support of terrorism. Most recently, Brother Hall secured a $2.8 billion judgment on behalf of a Cuban expatriate for damages stemming from the forced suicide of the plaintiff’s father by the Castro regime, as well as the continued terror attacks launched against his family by the Cuban government. Outside the courtroom, Brother Hall has served on numerous civic boards, including the National Board of the American Jewish Committee and the Hebrew Immigrant Aid Society, the boards of Greater Miami Jewish Federation, Aish HaTorah of South Florida, Easter Seals, the New World School of Arts, and Florida International University’s Council of 100. He is currently Chairman of the Miami Beach Holocaust Memorial. 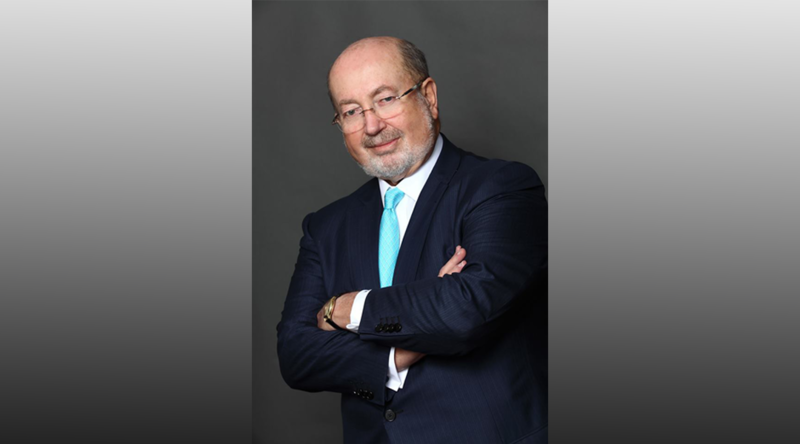 He is also a past president of the South Florida Transplant Foundation. Brother Hall is a recipient of the American Jewish Committee’s Judge Learned Hand Award, which was bestowed upon him for his outstanding leadership. Brother Allan Hall speaks throughout the area about the holocaust, bringing his story and the story of millions of others to students, youth groups and communities. He will be a featured speaker at Miami Beach High School next week as a part of the Dade County (Florida) Holocaust Remembrance Week. “The holocaust is an important part of our lives and our history. We can’t forget it and my brother and I are committed to vigilance and teaching. We want to pay back,” said Andrew. For Brothers Andrew and Allan Hall, the fight against evil that began in a closet and a root cellar in Warsaw never ends.